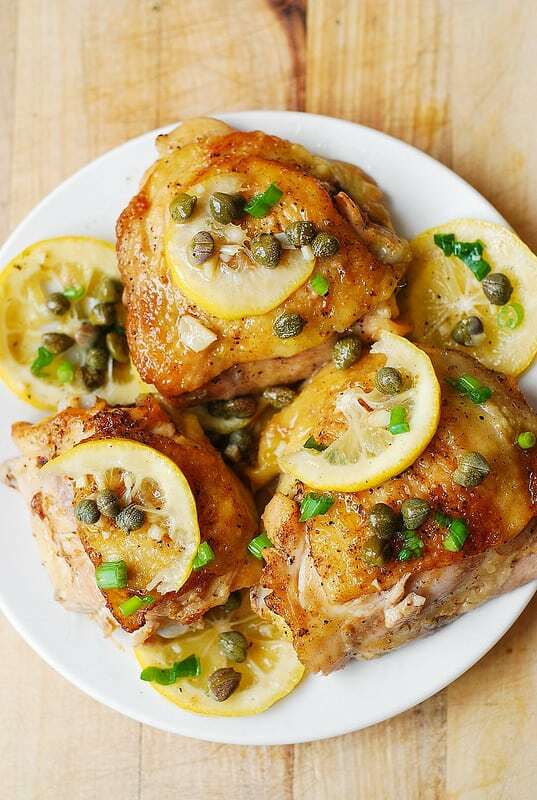 Oven Baked Chicken Thighs with capers, lemon, and garlic! This baked chicken piccata takes about 40 minutes to make (most of which is idle baking time) and is a very flavorful weeknight dinner. Gluten free, low-carb, KETO friendly recipe! 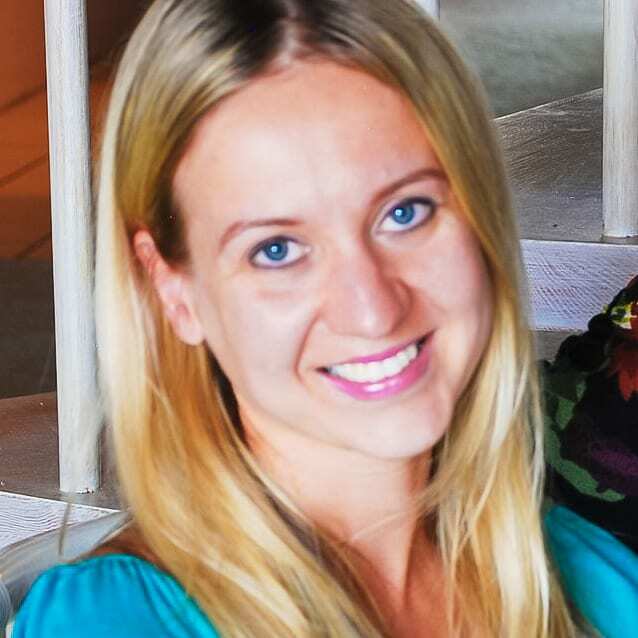 The ingredients include butter and chicken thighs – both have high fat, low sugar content. Chicken piccata contains foods that are high in protein and low in carb, such as chicken bone-in, skin-on chicken thighs. There is no flour, no grains, nothing with gluten in this recipe. Gluten free recipe. Capers and garlic are great KETO friendly foods. This chicken recipe is so delicious and unbelievably easy to make! 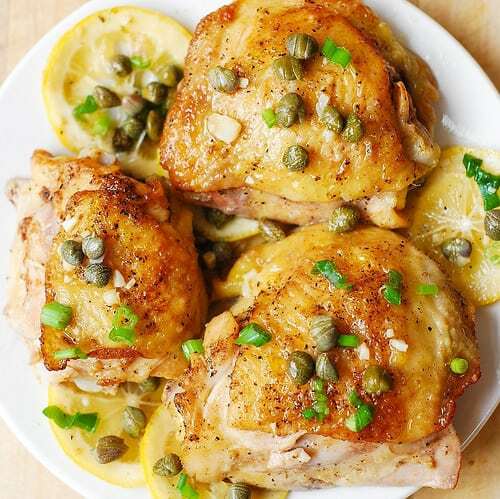 Just brush the chicken thighs with butter (to ensure crispy skin); arrange the chicken in the baking pan; add sliced lemons, capers, garlic, and chicken broth; and bake for 30 minutes. So easy! 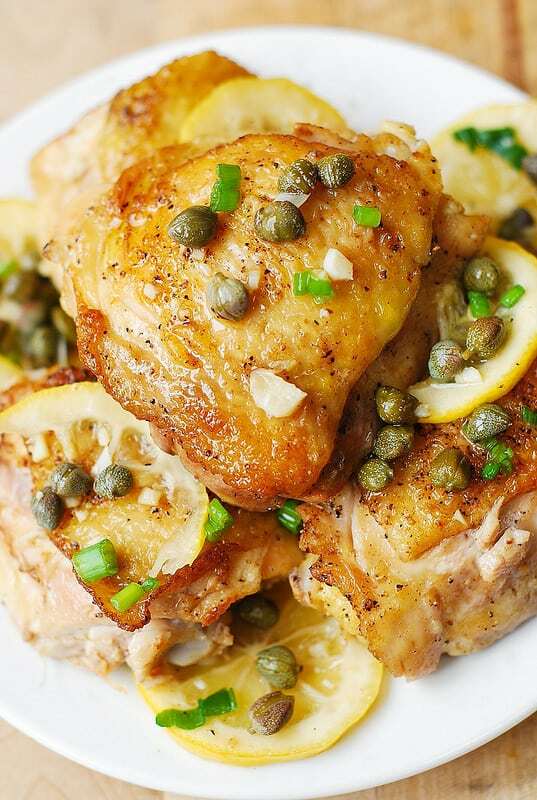 This gluten free chicken piccata comes out juicy and flavorful every time! 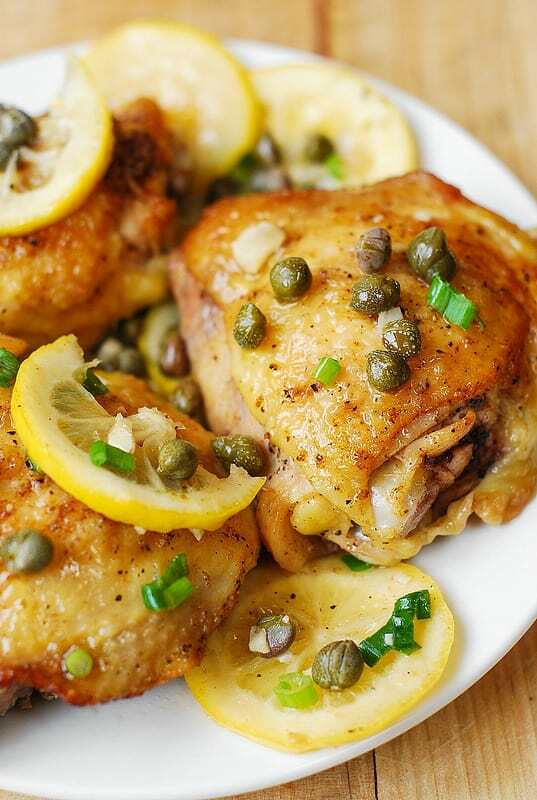 Oven Baked Chicken Thighs with capers, lemon, and garlic! This baked chicken piccata is super easy and very flavorful weeknight dinner. Gluten free recipe! Brush chicken thighs thoroughly with melted butter. Arrange chicken in a medium-size baking pan. Sprinkle minced garlic over and around the chicken thighs. Add lemon slices and capers around the chicken thighs. Add chicken broth to the bottom of the baking pan, without pouring it over the chicken thighs (chicken thighs should only have butter brushed over them - to make the skin crispy). Sprinkle salt and pepper on top. Bake the chicken until completely cooked through and the skin on top is golden brown and crispy, for about 30 minutes. An internal temperature should register 175 degrees F.
To serve, spoon caper mixture over chicken. Sprinkle with finely chopped green onions. Thank you, Nancy! I am glad you liked it! Can this be prepped the night before? Can you have the chicken maranating in the piccata sauce night before cooking? Can this cooked in advance? Also is it still very delicious when served st room temperature? Yes, you can make this a day ahead and then reheat it in the oven or in the microwave. I prefer to serve this hot or warm. I’ve made this twice already. I double the sauce and serve over noodles or rice. It is really good! I love capers! Thanks for the awesome recipe. My husband got boneless and skinless thighs. Will it still taste ok? it will still be good, the cooking time might have to be reduced as boneless and skinless chicken usually cooks faster. Could you substitute with chicken breasts? If you use chicken breasts, the cooking time should be reduced as chicken breasts cook faster and dry faster. The sauce had a bitter taste to it. I think it came from the pith/skin of the lemons. Next time I’ll juice the lemon instead of slicing and see if that makes a difference. Otherwise, it was good! How would you adjust for skinless thighs? Bought that kind by mistake. Skinless chicken thighs are usually thinner, so I would just follow the recipe as is, and watch the chicken closely towards the last 10 minutes of cooking – it might be done faster than the skin-on chicken thighs. Really depends on how thin your skinless chicken thighs are. I made this yesterday and it was AMAZING! I used the “sauce” as dressing for my salad.